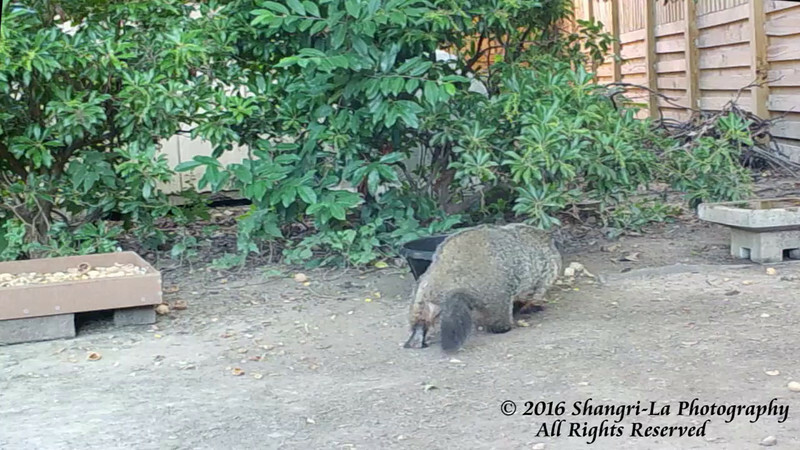 Second Attempt: Normally solitary animals except in the Spring for mating, the video managed to catch a conflict between two groundhogs. Listening carefully and you can hear them communicating. Again, unfortunately most of the action happens behind the bushes, but if you watch carefully you can see the flickering of the tail. We suspected that we were being visited by more than one.....!